Combine Hardware Attachments To Get Price Break! 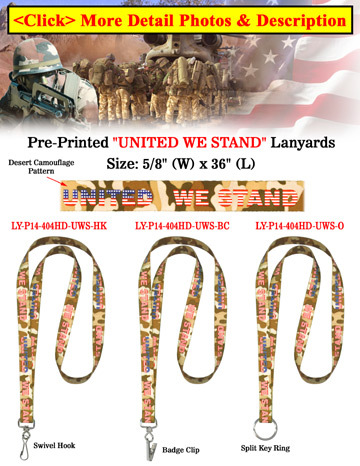 This 5/8" heavy-duty lanyard comes preprinted with "United We Stand" in the patriotic red, white, and blue colors on a camouflage-colored lanyard webbing. Custom Size: Any custom size strap or design available.